Ubuntu One is free file & folder syncing and sharing service using which you can share or sync files and folders across computers and other people that run Ubuntu Linux which we have covered earlier. 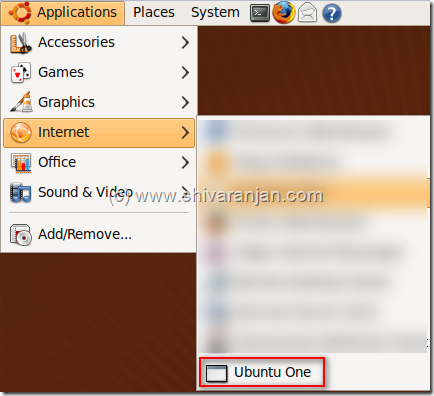 In this post let us discuss the installation of Ubuntu One in Ubuntu Linux. 1. The first step is to add the Ubuntu One software repositories as software sources. 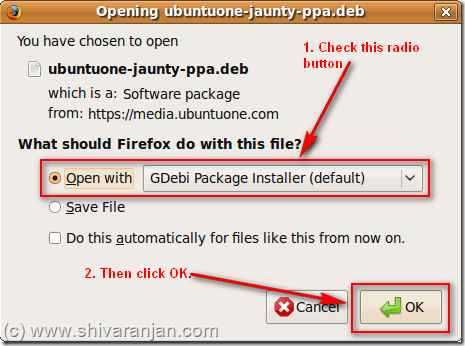 To add the software repositories click this link and you will prompted with window, choose the ‘Open with Gdebi Package Installer’ and then click OK.
Now the package would be downloaded and you would have to install this for the software repositories to be added. 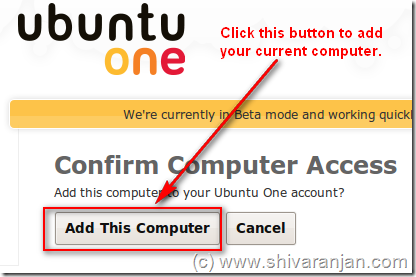 Now a new window would be opened in your browser and you have to login to your Ubuntu One account and then you will have to authorize the computer for access with Ubuntu One. That is it the computer is now added and you should see the the Ubuntu One sitting your taskbar. 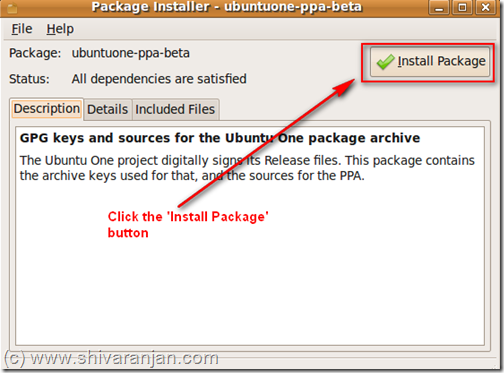 Start using Ubuntu One in the next post we will cover the features of Ubuntu one in detail.